This rope was designed specifically for the demanding needs of the professional arborist. XTC is a tight braid consisting of 16 individual strands of DuPont's Dacron polyester plied over "Para-ep" Olefin. A high twist core of torque balanced polyester keeps the construction firm and round, providing an extra measure of safety. XTC is an excellent choice for climbing line due to its non-snagging, abrasion-resistant construction and excellent energy absorption characteristics. 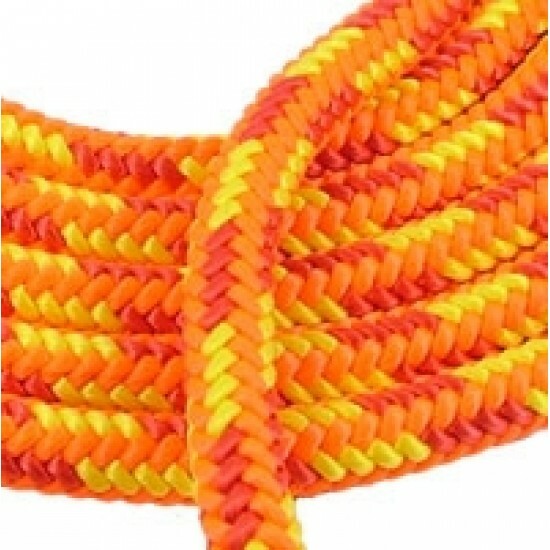 With a full splash of bright high visibility yellow, orange and red extrusion-dyed polyester, resulting in permanent coloration that won't fade or run with use. In addition to strength and performance, ideal for color-coding, reducing confusion and increasing the safety of each job. Fire - 45m with either one or two professionally spliced eyes.